For some silly reason, it took me a full month to read this book. Mostly it was because I was busy with other things, you know how life gets in the way of a good book, yeah that’s what happened, and then when I did have time to read I would pick up other books (generally short manga’s that I could read in one quick sitting). 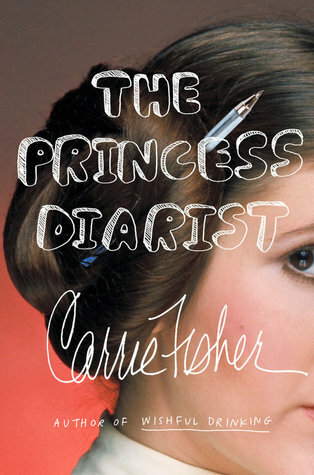 I wanted to read this book so badly, but everything seemed against me finishing it. Luckily, I did manage to get it done a whopping thirty days after starting it, and I really enjoyed it. I’m not going to go into much detail with this, but I will cover some key points. First off, I thought Cress was a great character. She had her quirks, some faults and a definite zest for life. There is a lot of character growth for her over the course of this novel and I think the Cress we will see in the next book will be even better. I still hate Thorne. Not as much as I hated him in Scarlet, but I still really, really don’t like his character. He has redeemed himself some through his actions in this book, but ugh I just can’t stand the man. Like the previous novels, everything has been coming together smoothly, perhaps not for the characters, but in the sense of all the story lines intermingling and joining into one very strong and appealing plot. It’s this aspect alone that has made me enjoy these books so much. I honestly didn’t think I would like this series at all, and didn’t see how these retellings would work in any way, and yet here I am loving these books and looking forward to reading the next one. 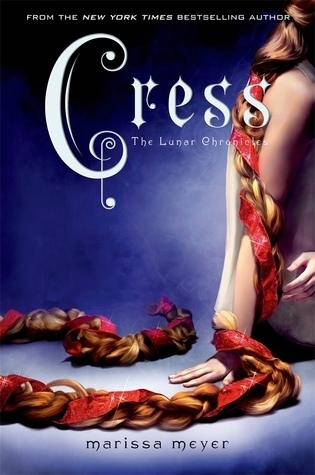 Am I the only one that was disappointed that Cress’ hair got cut so early in this book? I get why it happened, but I was hoping to see more Rapunzel-ish action. Overall, this was a really good book. I only wish I could have read it in more of a one sitting fashion instead of it taking weeks to complete. Even so, I loved it and am really looking forward to finishing off this series, and yikes the end is so close I almost don’t want it to end. If you haven’t read this series yet, I would recommend checking it out, as it has great characters and a wonderful story line. This entry was posted in Books, Fantasy, Romance, Science Fiction, Young Adult and tagged Book Review, Books, Fantasy, Romance, Science Fiction, Young Adult. Bookmark the permalink. YES. I completely agree. This was an amazing book, and I can’t wait to see what you think of the rest of the series (in my opinion each book just gets better and better). Thanks for sharing and, as always, fabulous review! I have definitely been loving the series more and more with each book. I think that’s part of the reason why I haven’t read Winter yet, because I know it is going to be great and I really don’t want it to end.